Arrive Delhi. Meeting & assistance upon arrival, followed by transferring to hotel for check-in.Overnight stay at Hotel. Enjoy the breakfast at the hotel to welcome the fresh day in Delhi. Around 09:30am, meet with the tour guide, prior to the sightseeing in Old and New Delhi. When pass through alleyways, it seems getting narrower and we end up at the Jama Masjid which is the largest Muslim mosque in India. You can also enjoy the Rickshaw ride crossing the streets in Old Delhi. Finishing the visit in Old Delhi, let’s head to New Delhi. 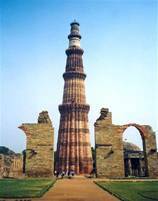 Continue our visit to Qutab Minar and India Gate, a 42 meters’ archway built for memorial of Indian soldiers killed during the First World War. Watch the famous War Memorial Arch and see the contrast between old and New Delhi. Morning enjoy breakfast at Hotel. After breakfast, check-out from Delhi Hotel and drive further to Agra. On arrival, transfer to hotel for check- in. Morning early breakfast at Hotel and on time transfer to Agra Railway-station to connect train for Bhopal. On arrival in Bhopal, meet and greet by our Representative and transfer to Hotel. Rest of the day free for own activities. Overnight stay at Hotel. After breakfast, begin for the excursion of Sanchi. This is another world heritage Buddhist site where the Buddhist motifs of stupas find their most artistic representation. Group of monuments at Sanchi illustrate the times when the Mauryan Emperor Ashoka, keen follower of Buddha was on the mission to spread the religion. While he was erecting pillars, and edicts on the famous Buddhist sites, he also built the most artistic Buddhist heritage in the form of Sanchi Stupa. After visiting Sanchi, return back to Bhopal. Overnight stay at Hotel. Morning breakfast at Hotel. Later drive to Satpura National Park. On arrival, check-in at Hotel. Rest of the day free for leisure or to relax at Hotel. Overnight stay at Hotel. Satpura National Park is located in Hoshangabad district of Madhya Pradesh in Central India. It is spread over Satpura Hills on highlands of Central India. Its name Satpura is a sanskrit word, which simply means Seven-hills. It is part of Pachmarhi Biosphere Reserve and covers an area of 524 sq. kms. Early morning / evening enjoy Safaris inside Satpura National Park. Explore the jungle in depth on a Jeep Safari. Enjoy Breakfast, Lunch& Dinner at Hotel. Overnight stay at Hotel. Early morning enjoy Safari inside Satpura National Park. After Safari, return to Hotel for breakfast. After breakfast, drive further to Pench. On arrival, transfer to Hotel for check-in. Evening you can enjoy Safari visit (if time permits). Overnight stay at Hotel. Pench National Park is placed in Chhindwara and Seoni districts of Madhya Pradesh. The name is derived from the Pench River, flows through the National Park. The river flows from north to south that divides the park into equal eastern and western halves-the well woody areas of both districts. The park has several species of animals among which wild guars, tigers, leopard, monkeys and deer, etc., are easily observed. Early morning / evening enjoy Safaris inside Pench National Park. Overnight stay at Hotel. Early morning enjoy Safari and return back to Hotel for breakfast. After breakfast, proceed further to Tadoba. On arrival in Tadoba, transfer to Hotel. Overnight stay at Hotel. 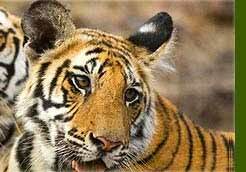 Tadoba Tiger Reserve is one of the finest & largest National Parks in Maharashtra. 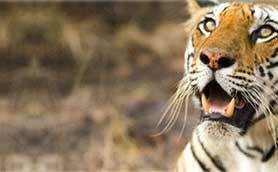 It is one of India’s 47 project tiger reserves existing in India. It lies in Chandrapur district of Maharashtra state. This beautiful wild paradise is situated 45 km close to Chandrapur District of central Indian State Maharashtra, and is about 150 km from Nagpur city which is the nearest airport for visiting Tadoba national park. Early morning enjoy game drive at Tadoba National Park in a shared Jeep / Canter. Afternoon on time, checkout from Hotel and drive to Nagpur Airport to board flight for Mumbai. Upon arrival in Mumbai, meet and greet by our Representative and transfer to hotel for check-in. Overnight stay at Hotel. Later proceed for half day sightseeing tour of Mumbai the commercial capital of India includes Kamla Nehru Park, Chowpatty Beach, Prince of Wales Museum (Prince of Wales Museum closed on Monday), Mani Bhawan, Gateway of India & drive through the Crawford Market, Marine Drive & Flora Fountain. Evening on time directly transfer to International Airport to connect flight for onward destination.